TECNOLOGIC 3® manufactures and applies innovative systems for the locking of the threaded parts used in a wide range of sectors, including the automotive, electronics, electrical appliance and many other industries. 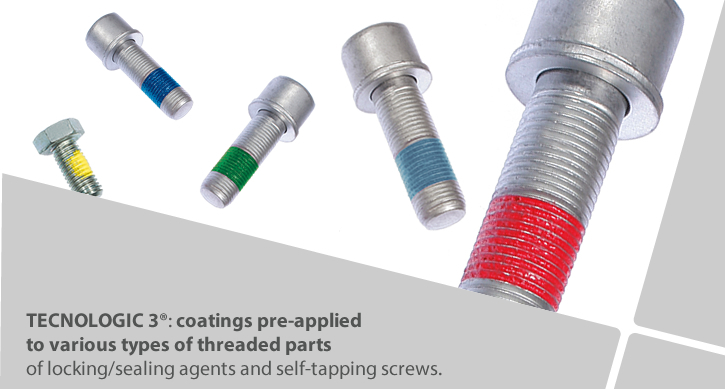 The pre-applied products significantly increase quality and performance levels by comparison with the more common mechanical locking systems and/or in-line manual applications. TECNOLOGIC 3® has extended its range of applications to render them compatible with the lubricant, protective and friction coefficient regulator finishes produced by the leading companies on the market.